WW3 - Wave Watch III is a third generation wave model developed at NCEP - National Center for Environmental Predictions (NOAA, USA). WW3 forecasts are produced every six hours at 00, 06, 12 and 18 UTC. WW3 solves the spectral action density balance equation for wave number-direction spectra. The model equations imply that the model can generally be applied outside the surf zone. Here we are showing volume colored interpolation of significant wave height (m). 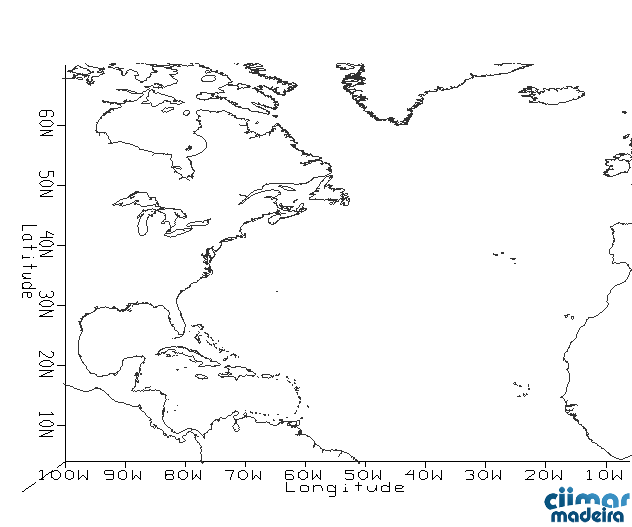 The GEFS - Global Ensemble Forecasting System is a GFS-based (Global Forecasting System) modeling system, which runs with 20 ensemble members per cycle plus one control member. GEFS forecasts are produced up to 28 levels every six hours at 00Z, 06Z, 12Z, and 18Z. Data is interpolated to 1°x1° resolution. In this website, only sea surface pressure (hPa) and wind (m/s) are represented.